Tenuta di Pietra Porzia is just a few kilometers from the centre of Frascati, on Via di Pietra Porzia, no. 60. 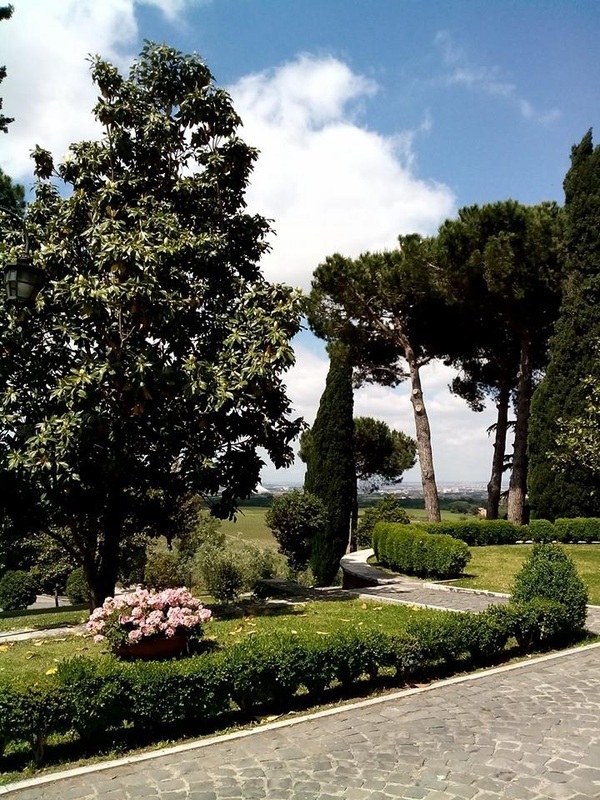 The Estate, with a spectacular view, is one of the largest in the Castelli Romani and Frascati area, boasting an impressive 118 acres, of which 100 are planted with vines, 18 with olive trees and dates back to 1892. It is on the edge of what was once Lake Regillus, the famous site of the homonymous Battle that took place in 496 BC, that saw the Latins and Etruscans of Tusculum defeated by the Romans, with the help of Castor and Pollux, the two giant twin cavaliers on winged horses, sons of Jupiter, also known as the Dioscuri. 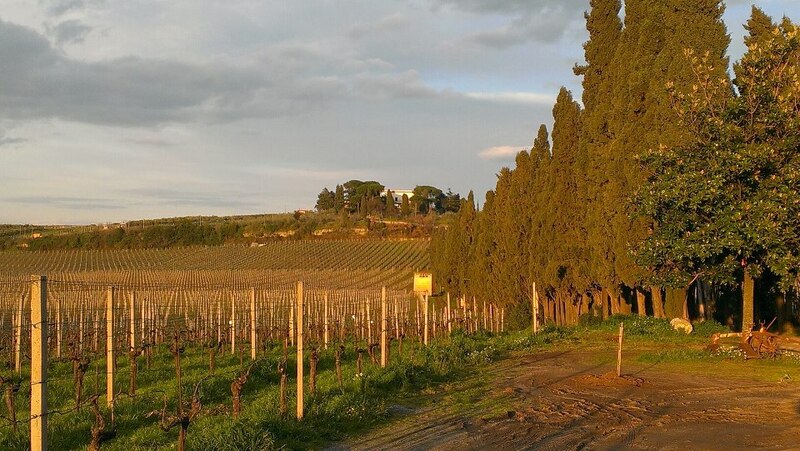 The land had once been owned by Pope Clement XI and the Borghese Prince; it was divided between them in fact in 1714. 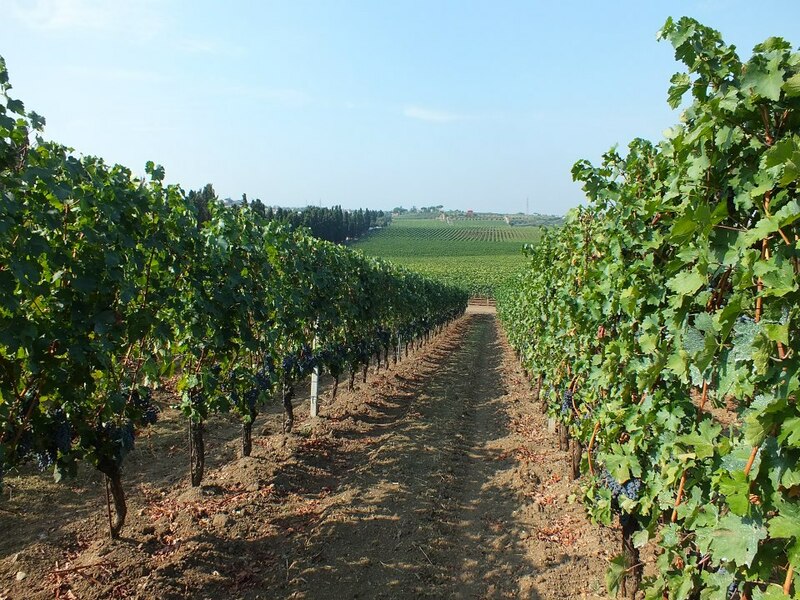 The 100 acres of vineyards are planted with Malvasia di Candia, Malvasia del Lazio, Trebbiano Toscano, Greco and Bombino, the grapes used for making Frascati Superiore DOC and DOCG, as well as Montepulciano, Cabernet and Merlot from which their Castelli Romani Rosso is made. 10 meters underground are a series of tunnels that extend for 400 meters, excavated from the volcanic tufo-stone probably in Roman times, now partially included in the cellar that you can visit. The main VIlla was built at the end of the second World War, 1945, on the design of Architect Lucchichenti and is in a fabulous panoramic position with views that extend to Rome, Tivoli, Monte Porzio and Frascati, and even beyond to the sea. The estate comprises a Vineyard hotel and farm guesthouse for a total of 12 rooms, all with private bathrooms, in an oasis of peace and calm amongst the vines and olive groves, with a pretty swimming pool for guests. There are facilities for wedding receptions and events, as well as a private restaurant that opens on request to provide half or full board. 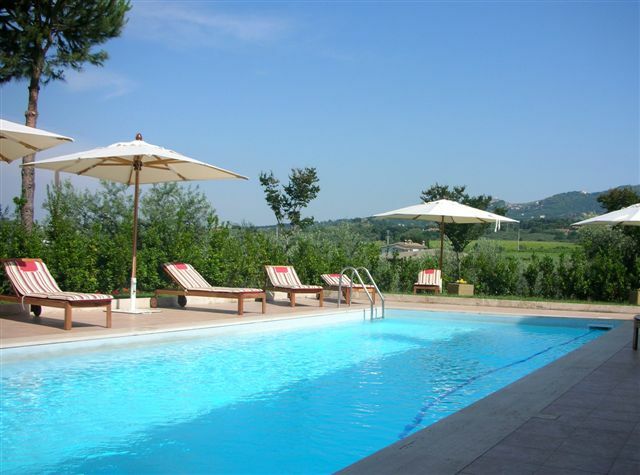 Tenuta di Pietra Porzia produces 6 quality wines using only their own grapes plus a cold-pressed olive oil (awarded 2 olives in the Slow Food guide), which you can buy in their farm-shop (with your EasyFrascati coupon you are offered a discount of 10% ) here you will be offered a free tasting and no minimum quantity of purchase is required. The Wine shop is open weekdays from 9-12am and 2-6 pm or by appointment during bank holidays and weekends. Horse riding: take a stroll on horse back (no galloping unless you can prove you are an expert horse rider!) through the vineyards. One hour including insurance for a minimum of 2, maximum 6 riders, €25 per person. 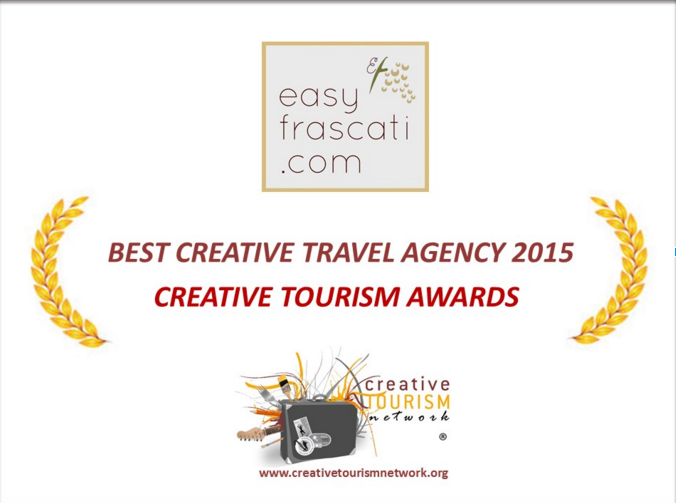 Once again you should deduct your 10% easyfrasati.com discount from this. Photos copyright Tenuta di Pietra Porzia, by their kind permission.